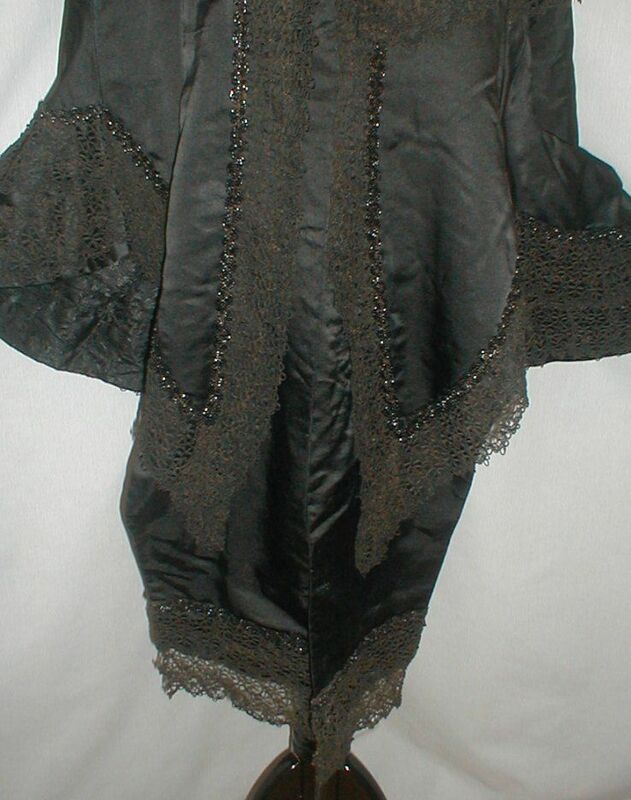 A stunning 1870-1880 black satin evening cape. 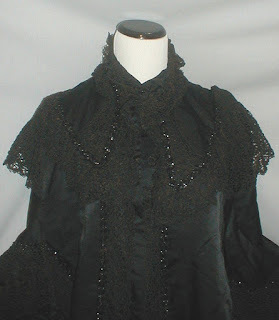 The cape is lavishly trimmed with black lace and tiny black bugle beads. It has long front tails. The cape has a high neck collar and the shoulders are trimmed with lace epaulets. The cape is lined with black satin brocade fabric and has a front hook and eye closure. It is in very good and sturdy condition. The lace is in good condition and there is no missing beading. There is some minor wear to the lining around the collar area. Shoulders 15 Front length including lace trim 37 back length 28. 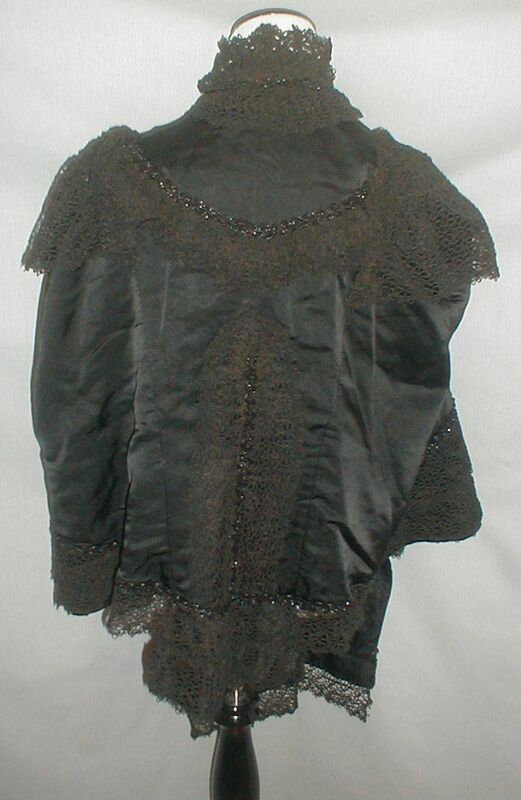 This lovely mantle is probably from the cusp - anywhere between 1879 and 1882. 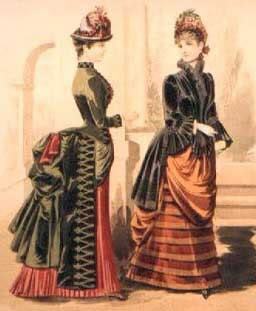 I'm putting it in both the 1870's and 1880's for that reason.